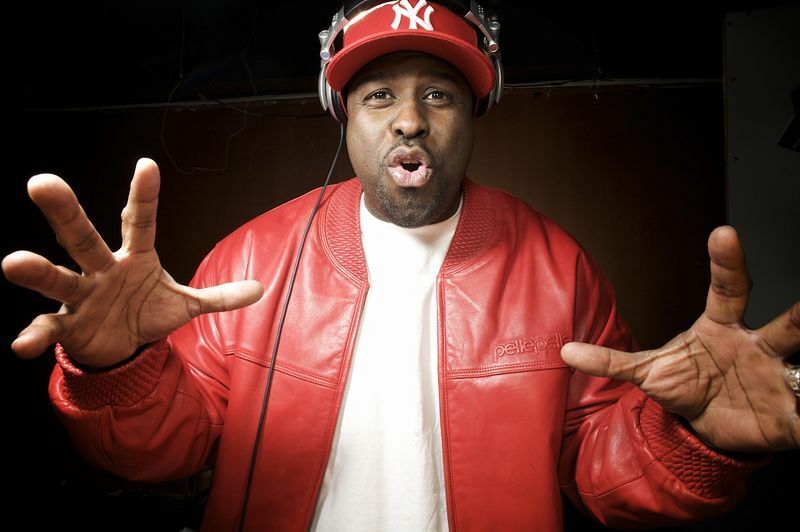 Funkmaster Flex, is an American disc jockey, rapper, record producer, actor, and host on New York City’s Hot 97 radio station. In 1992, he became host of the first hip hop radio show on Hot 97 in New York, which was a pop radio station at the time. In the early 1990s, Flex made club appearances at many of Vito Bruno’s operated nightclubs. Bruno later convinced Joel Salkowitz, a regional vice president of Hot 97, to begin airing live broadcasts from clubs where he was performing. When they realized the resurgence of Hip Hop was coming fast from its fallout in the eighties, they increased the hours of this urban radio programming. Due to the success of that programming, in the spring of 1992 Funkmaster Flex began mixing and hosting his own show, a specialized rap program on Hot 97. With this, Hot 97 became the first pop station in New York to showcase rap. Flex has been with Hot 97 ever since, and currently airs nationally through syndication during weeknights and weekends. He is well known for his signature “bomb drop” sound effect over records. By the mid-1990s, Flex was signed by a major record label, Loud Records, for a series of mixtapes entitled 60 Minutes of Funk. All four were certified gold by the RIAA in the US. In 1995 he formed The Flip Squad along with seven of New York City’s most respected disc jockeys, including Biz Markie, “BounceMasta” Doo Wop, Big Kap, DJ Enuff, Mister Cee, Frankie Cutlass, DJ Riz, Cipha Sounds and Mark Ronson. Their self-titled debut LP was released on MCA in late 1998. In 1999, he released The Tunnel with Def Jam, which included songs by artists Dr. Dre, Jay-Z, Eminem, LL Cool J, DJ Myth, Method Man, DMX, Nas, and Snoop Dogg. Other acts he has worked with include Yvette Michele, Pras, DJ Kool, Armand Van Helden.